The Old Hotel, once the Twin Bridges Hotel and built circa 1879, sits on the corner of 5th and Main streets in downtown Twin Bridges, Montana. 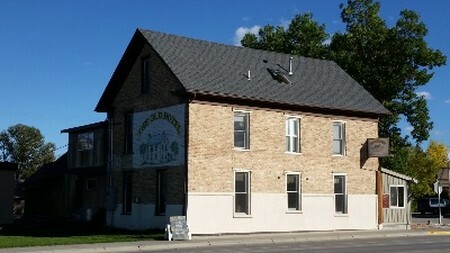 This historic three-story brick building was beautifully renovated in 1996. The Hotel still retains much of its original charm as seen in the hardwood floors, staircases, doors, and architecture. The Old Hotel is now a restaurant, catering to anglers, travelers, and residents alike.